It has been a big week around here – we reached 80-degree temperatures! If you live in the Midwest, then you know what a big deal this is. where it’s intended to be, to the back for a slightly different look. and cut on this dress are a tad more forgiving than most. Let’s face it – most anything chambray is the ultimate wardrobe staple. 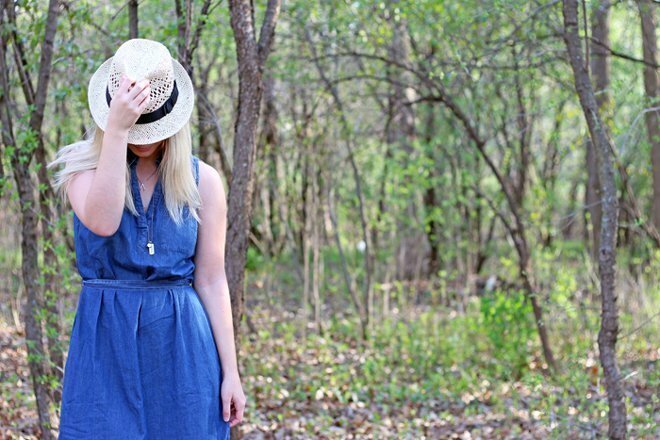 I've been on the hunt for a chambray dress. This is a great find! Omg, I love this dress! 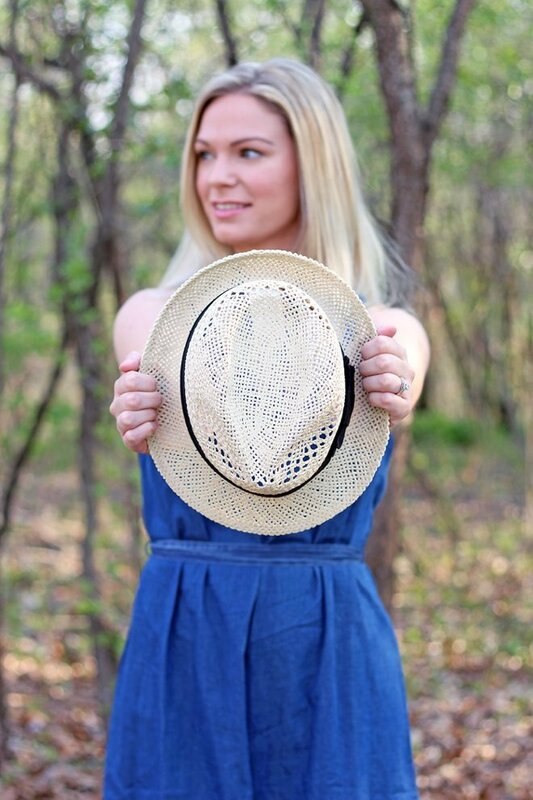 I've been dying for a cute Panama style hat, too! 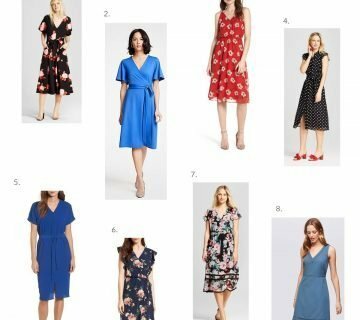 I'm so glad I'm not the only one who has this dress – I seriously think I'm going to live in it all summer long. Thanks, lady! Like I said, it's definitely meant to be tied in the front, but I'm not the biggest fan of that look (on me), so I'm glad it still looks normal with it tied in the back. I'm sure you'll love 'em! Yes, they are SO comfortable! I basically live in espadrilles throughout the spring/summer when I'm not in sandals. I wouldn't recommend them for long walks or anything, but for running errands and just doing things around town they are great. Gotta love this weather – I think it puts everybody in a better mood! Thanks, Anne! I'm all about keeping it polished and casual these days. Oh my goodness, it is?! 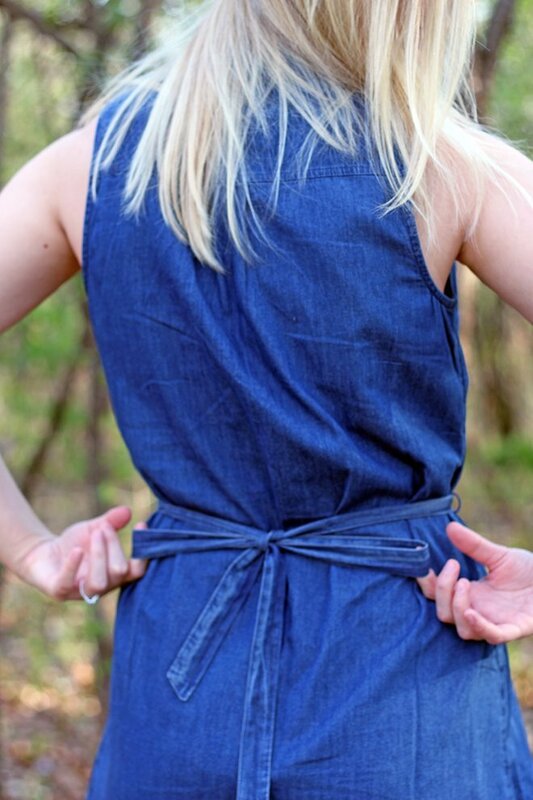 I hope they get it back in because it seriously is the best chambray dress. I figured why not go all out?! Plus, I haven't gotten a pedicure yet, so I'm still trying to hide my feet before I brave sandal season! Loving this look! I actually have that dress! 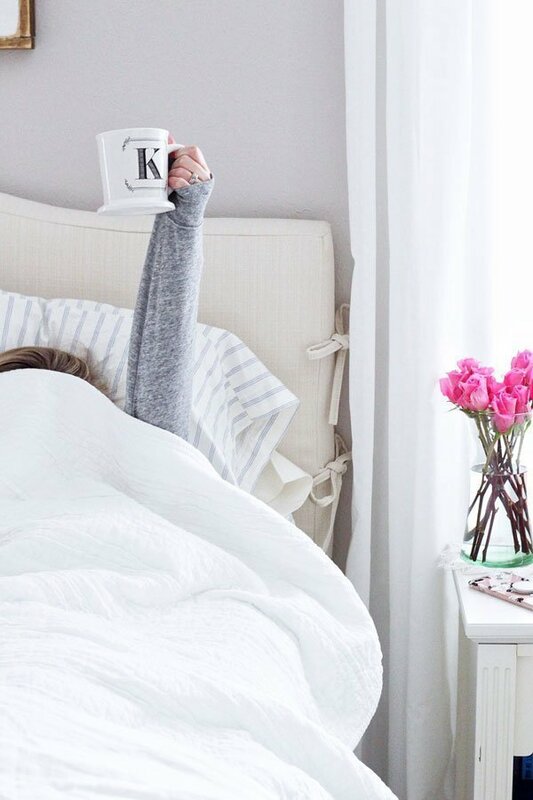 I love it – so comfy and cute! Love the whole look on you! Chambray is so versatile! 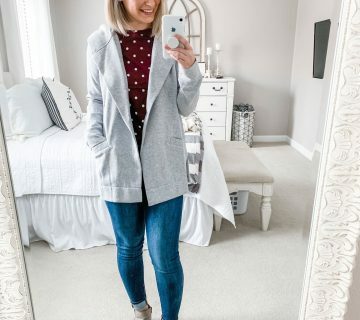 Such a perfect spring outfit!! I love this dress and especially love the bow in the back – so cute! The hat is a perfect touch! 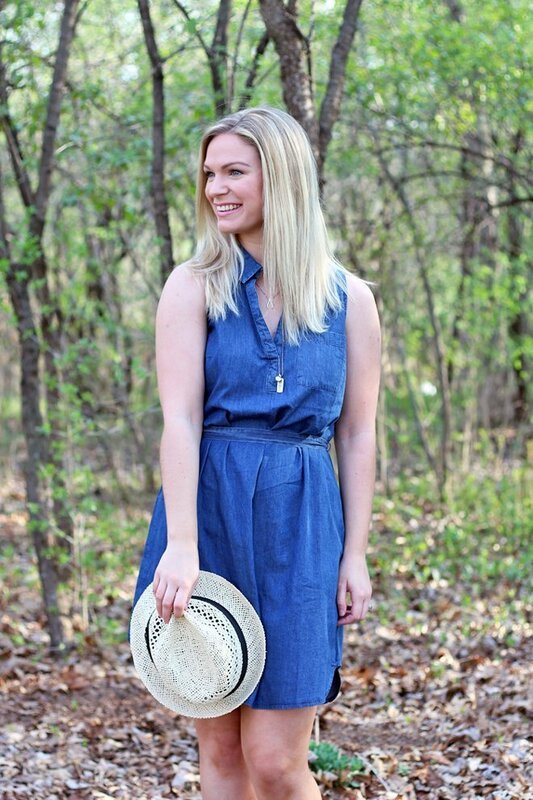 The chambray dress looks really good. Can't wait to bust out my Chambray dresses real soon! This dress looks so perfect on you! I really want to find comfortable pair of sneaker type flats for the summer, my tennis shoes are looking pretty rough after one too many summer concerts haha. I was thinking of Keds but those ones are super cute, are they comfy? Stahhhhhp being so freaking cute!!! Love this dress on you! 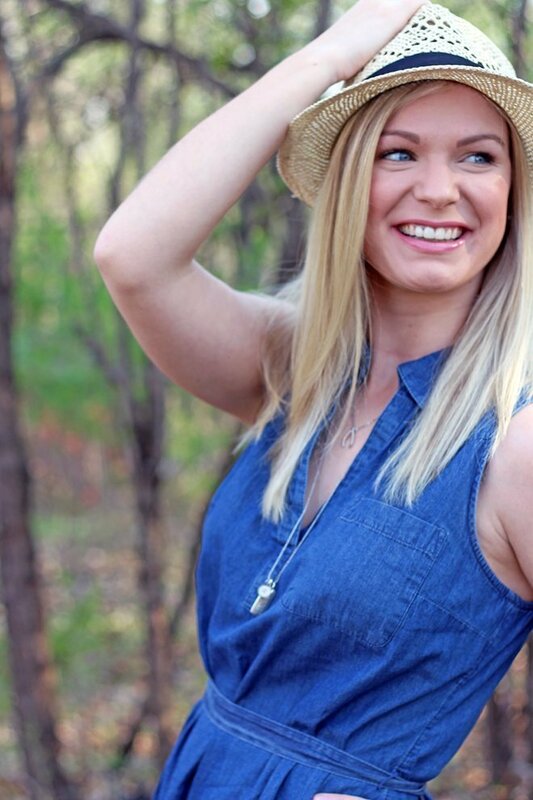 Chambray is the ultimate wardrobe staple! This weekend weather was just amazing, wasn't it?! 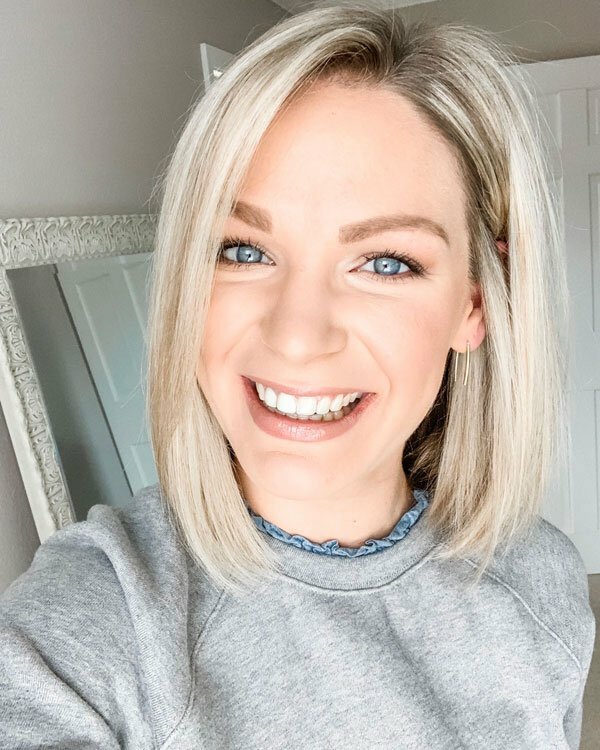 Love this look, so classic and easy to put together – and girl you have nothing to worry about with your arms, you look great! Yes, loving this midwest warm-up right now! Almost as much as chambray… yours is so perfect in dress form! I love a polished yet casual look and this hits it all with the necklace and espadrilles. It looks great on you! So cute! I love this take on a denim dress! It feels so summer-y! So sad it's sold out!! 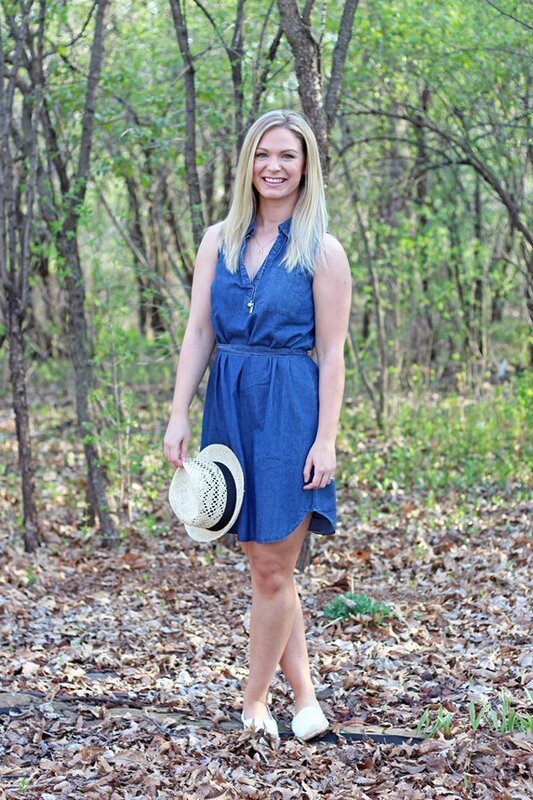 It's the perfect chambray dress – it looks awesome on you! That dress is super cute on you!! 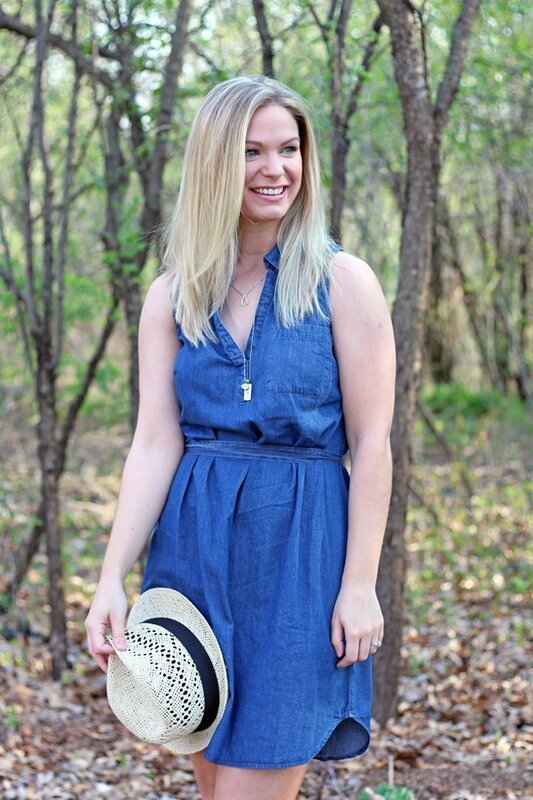 I've been on the hunt for a cute chambray shirt dress and you totally nailed it! Love everything about this!